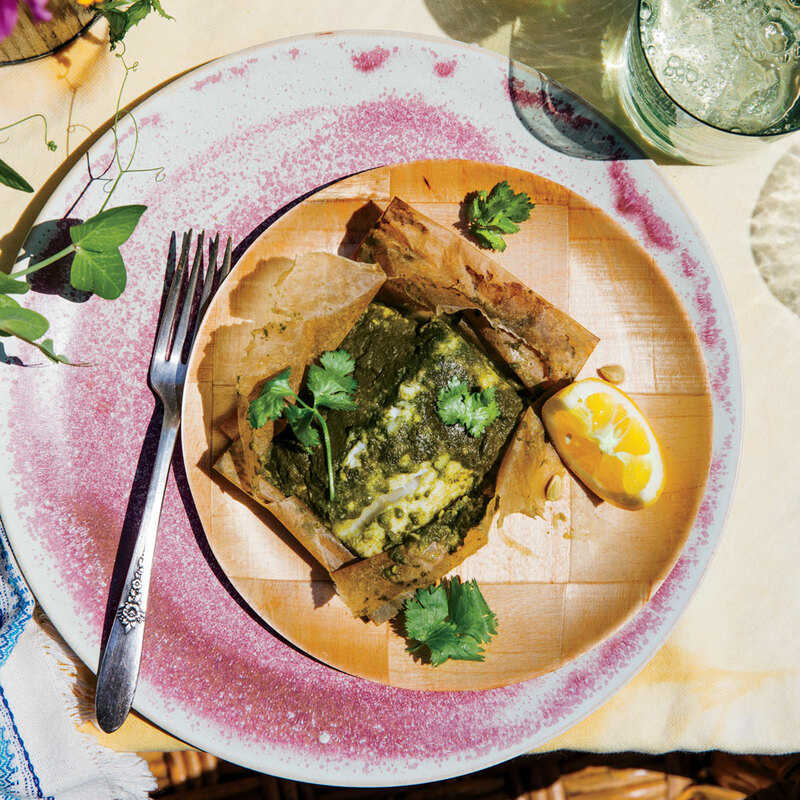 While banana leaves are more traditional, it’s easiest to cook this fish in parchment paper packets. Preheat oven to 350°F with rack in middle of oven. Stir together garlic, ginger, and 1 teaspoon salt in a small bowl until combined. Cut 6 (13- x 8-inch) pieces of parchment paper. Place 1 fish fillet on each piece, and sprinkle fish evenly with remaining 1/2 teaspoon salt. Spread 1 teaspoon ginger-garlic mixture and about 3 heaping teaspoons green chutney over each fillet to cover top and sides of fish. Flip fish chutney side down. Fold one short side of parchment over so it completely covers fish, then fold opposite short side of paper over. Fold top and bottom open edges together several times to make a sealed packet. Transfer packets, folded side down, to a baking sheet. Bake in preheated oven until fish is tender, flaky, and nearly opaque, about 15 minutes, or to desired degree of doneness.